What’s more distinctive, welcoming and authentic than a log home or cabin? 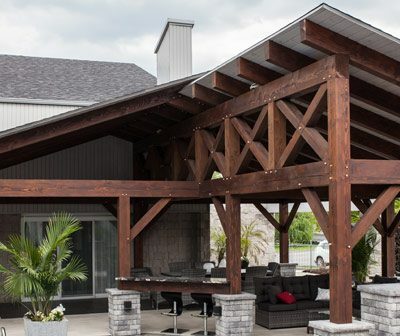 Bois Hamel designs the highest quality timbers with a design and efficiency that surpass the highest industry standards. Dare to be distinctive and build your dream! What’s more noble and extravagant than a timber frame? Create unique and distinguished projects with wood! Timber frames, beams, solid wood structures, gables, ornaments. Go for the authenticity of wood and make your dream project a reality! What’s more innovative and majestic than an outdoor space featuring wood? Patios, galleries, gazebos and pergolas. Dare to be different and offer yourself a backyard where comfort, tranquility and modernity reign! Looking for some custom lumber to carry out your project? Bois Hamel has everything you need! 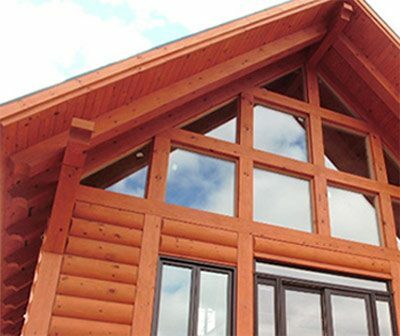 Bois Hamel specialises in designing solid wood structures and building log homes using round timbers. Since 2010, Bois Hamel has been a privileged partner for all your residential, commercial and industrial projects that feature the noble and timeless qualities of wood. Bois Hamel unites quality, precision, workmanship, technology and service to be the benchmark for your most distinctive projects! Whether you’re an architect, designer, contractor or a home owner, Bois Hamel can support you throughout the life of your project. Our team ensures the satisfaction of all our residential, commercial and industrial customers, by offering a personalised service for every one of your projects. We’re there to answer all your needs and support the development of naturally distinctive projects that feature wood! Is incorporating the noble and distinctive characteristics of wood a key part of your most innovative, modern and ambitious projects? Our professionals are there to assist you through the feasibility process and help validate your projects. Our limit is your imagination! Does wood fascinate you? Do you want to integrate wood and wood components into more of your projects? Let Bois Hamel help you effortlessly develop your most extravagant projects. Our team is there to assist you and help make life easier with our unique processes (drawings, numbered parts, etc.) and an exceptional precision that help limit job site complications. At Bois Hamel, we put our expertise to work for you! Are you looking to use wood in a renovation or construction project? 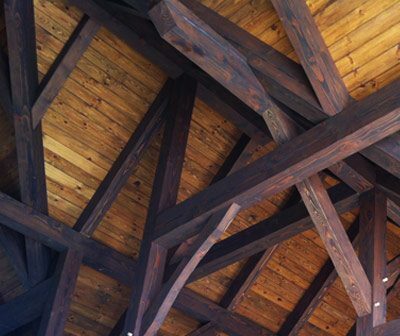 For your ornamental beams, solid wood structures, wood wainscoting, log construction or any other project, let our specialists give you a hand! Go for wood and go for a team of professionals to build your most distinctive project!